What does iPhone impress users most must be the perfect and smooth performance and nice looking. In the meanwhile, iPhone highly values users’ privacy and security, which is another reason why people would like to choose iPhone. Undoubtedly, iPhone is the most popular mobile phone in the present. Especially for the newly release of iPhone 7, which draws public’s attention successfully again. For those people who love watching movies and video clips on their mobile phones, the question about how to save online video to iPhone 7 may perplex them. This post gives some reliable corresponding solutions for this case below. Hope those methods will be serviceable. It’s so terrific that we can find numerous videos and movies from internet, no matter DIY casting video clips, series plays, classical or popular movies in 2016. First of all, you need to search desired video from website and then copy the video URL. Secondly, you may consider grabbing online video to iPhone 7 with Video Grabber. It’s a totally free online application that enables users to download online streams to their PC effortlessly. It supports various video hosting sites including YouTube, Vimeo, Dailymotion as well as other movie sites, etc. You may follow the steps below to operate this video downloader. Navigate to the site of Video Grabber. Paste the URL of the video on address bar. 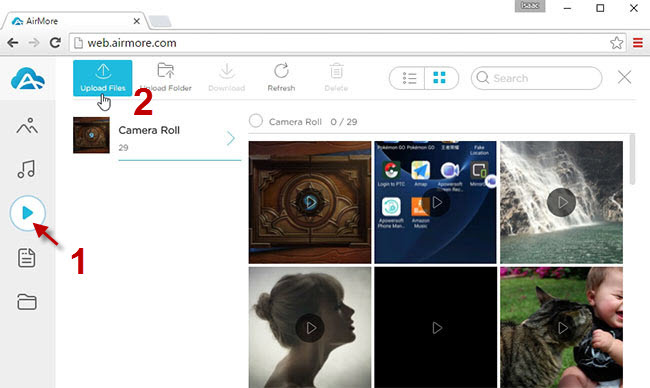 There’s a free online application called AirMore that can help you finely import the downloaded video to your mobile. To start with this job, you may download and install this app to your iPhone by clicking the button below. Once you have installed the app successfully on your device, you need to open the main page of AirMore on your computer. And then scan the QR code with your phone to connect the computer and mobile phone. Note that, it’s required to use same WIFI network between computer and device. Afterwards, you can perform transferring by following the step below. Click “Video” icon on the webpage. Hit on the button of “Upload”. Browse and choose desired video file on your computer. 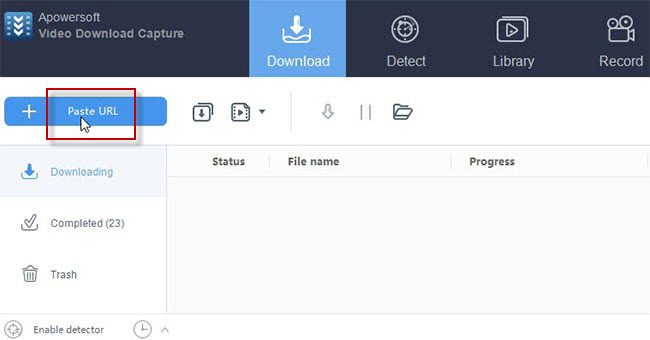 If you prefer using desktop application, Video Download Capture will be an effective tool for this job. It is capable of analyzing the link presents video and then downloading the online streams with great quality. Besides, this tool can also grab audio section only, which enables you to extract certain audio tracks and set them as your ringtone. Furthermore, it also comes with an advanced component called video detector that can detect online video and download the video automatically. 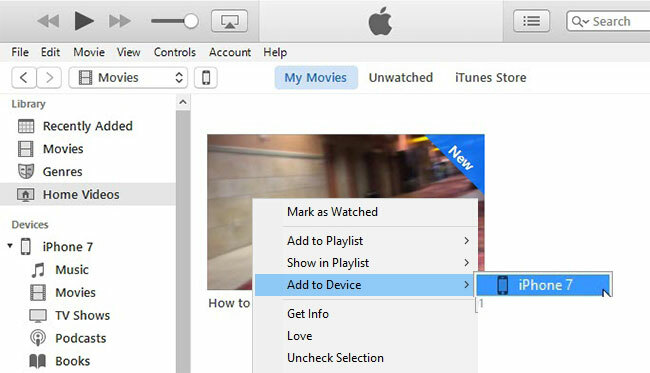 For those iPhone users, this program allows them to add the video to iTunes. To learn more details about using this iPhone 7 video downloader, you may check the instructions below. Click the button above to download and install this program on your computer. Copy and paste the video URL on address bar and then click “Paste URL” button. Once downloading completes, go to “Completed” tab and then right click the target item. Choose “Add to” > “Add to iTunes” option. Connect your mobile to computer via USB cable. Right click the video you have added just moment and then click “Add to device”. Apart from those two methods, there exists another app for iOS devices which can help you grab online video to iPhone 7 directly. It’s available on Apple store. You can install this app on your iPhone free of charge. Myvid Video Downloader is a video downloading app for iOS device. 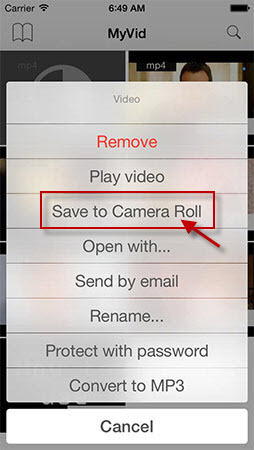 This tool empowers users to watch and download videos on iPhone. Meanwhile, it also offers some options for you to share favorite videos with others via Facebook, Twitter, message and email. It is hassle-free indeed to operate this app. You may do as follow. Download and install Myvid Video Downloader on your iPhone. Open the app and then search a video that you want to download. Copy the video URL and then paste it on address bar, next, tap “Save” button. All of those tools suggested above work perfectly in downloading online video to iPhone 7. However, the last app may fall short in searching more videos and films when comparing with other applications. 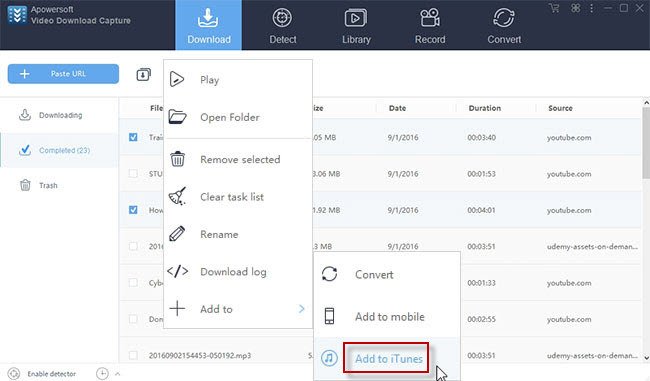 It’s recommended to use Video Download Capture, if you prefer more advanced functions.